Home Gerald Roe Where Would Jesus Go to Church? 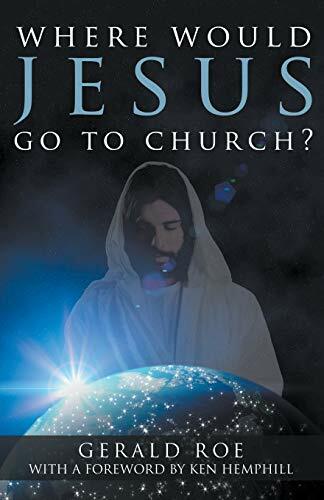 Title: Where Would Jesus Go to Church? ABOUT THE BOOK: Gerald Roe was interrupted while lecturing in his church-planting class by a student who asked, "What if Jesus came back right now to live on earth like He did in Bible days? Wouldn't He go to church the same way He went to the synagogue back then? Which church would He choose? If the true church is all about Jesus, wouldn't it be a good idea to consider what Jesus would look for in a church and make that part of our church planting methodology?" Where Would Jesus Go to Church? answers those questions. As Dr. Roe makes clear, for the blessings of God to rest upon any congregation, the church must answer two important questions: What is the true church? and What is the church to do? In far too many instances, these questions are being asked in the reverse order, leading to a compromising disconnect between the church's essential biblical character and its earthly effectiveness. Where Would Jesus Go to Church? sheds needed light and offers practical, biblical answers. **** ABOUT THE AUTHOR: Gerald Roe is currently department chair and associate professor of intercultural studies/missions at North Greenville University in Tigerville, South Carolina. Prior to moving to South Carolina, Gerald spent over thirty years in ministry serving churches as senior pastor in Texas, Hawaii, and Kentucky and as the Director of Missions for the Massachusetts Baptist Association under missionary appointment of the North American Mission Board, SBC. Additionally, Gerald continues his pastoral ministry by assisting churches in various forms of transition and as interim pastor. Dr. Roe earned his undergraduate degree from Wayland Baptist University in Plainview, Texas, and two graduate degrees from The Southern Baptist Theological Seminary in Louisville, Kentucky. His passion is for pastors and local churches, both current and future. He is married to Cheryl Dianne and has four grown children and four grandchildren. Gerald is a career specialist.